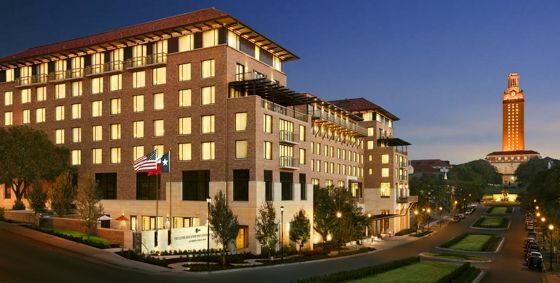 The conference will take place at the AT&T Executive Education and Conference Center situated at The University of Texas at Austin, USA. After March 7th, please telephone (512) 404-3600 for availability and pricing of rooms for ARITH-21. Overnight car parking at UT AT&T center is $16.00 per night, and daytime only parking is $8.00 (one-time use voucher) or $9.00 (in/out voucher). Car park charges are not included in the conference fee. The car park entrance is on 20th street (on the north side of the conference center). $8 vouchers for all-day single-exit parking will be available from the registration desk. You may enter the car park without a voucher, but will need one to exit.